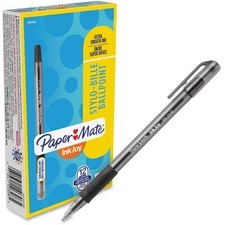 InkJoy 300 Ballpoint Stick Pens offer Paper Mate's revolutionary InkJoy writing system for effortless writing. The InkJoy writing system starts quickly without dragging, requires minimal pressure from your hand, and delivers crisp, clean lines every time. Rubberized tri-contour grip delivers optimal comfort and control. 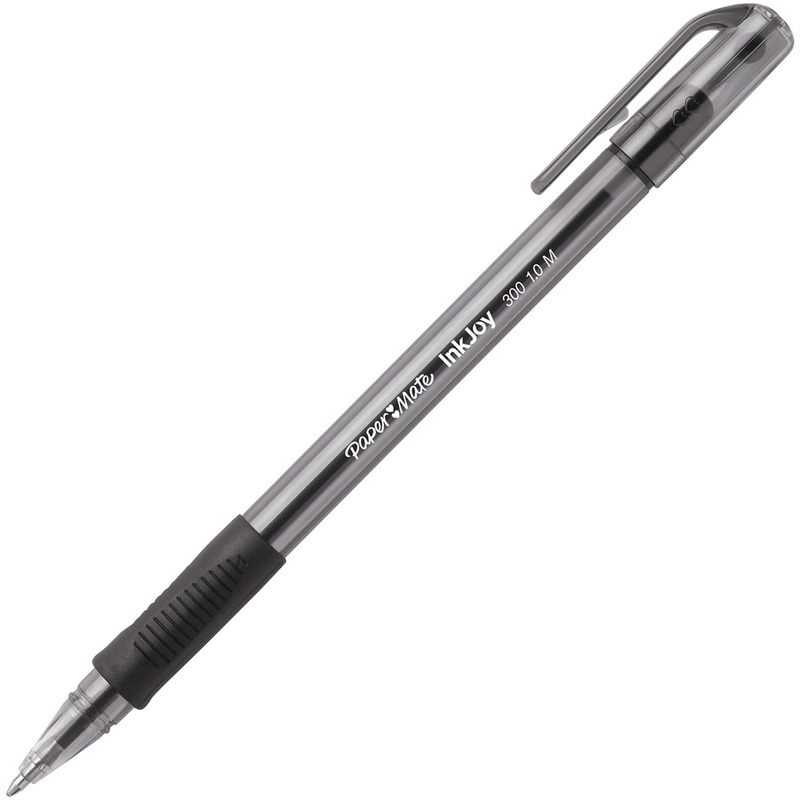 Ballpoint pens also offer a transparent, color-tined body for a refreshing look. 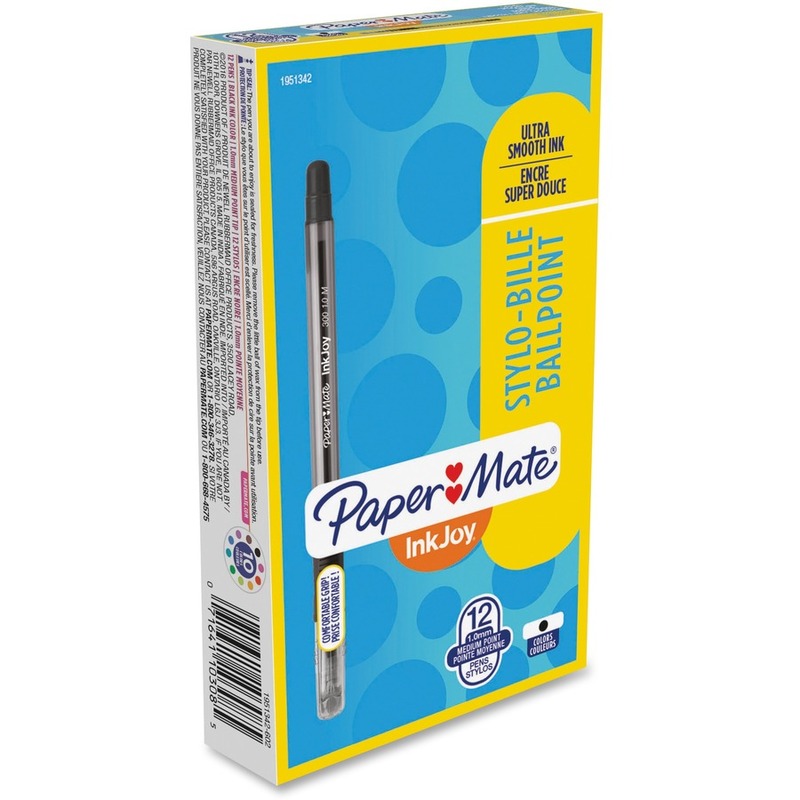 Ultra-smooth ink keeps the fun and ideas flowing. Reliable, fluid tip draws bold lines from beginning to end.